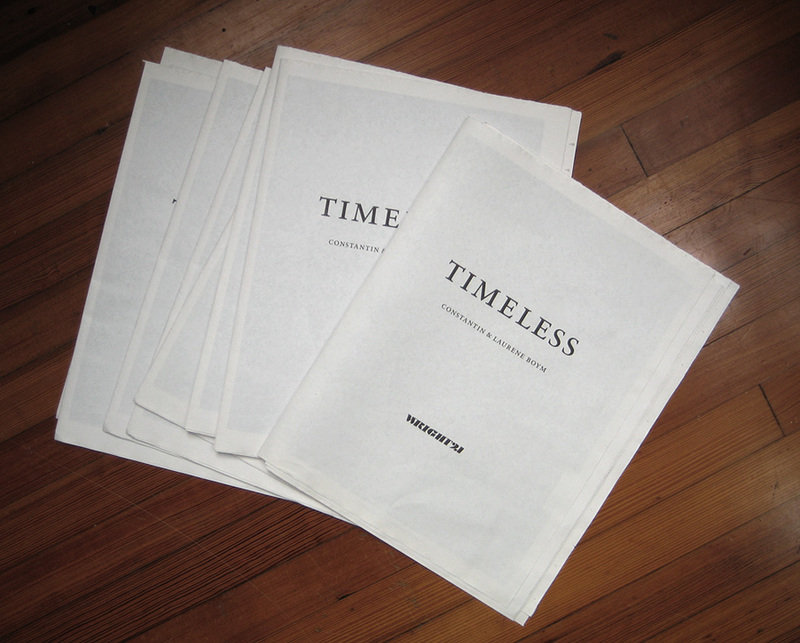 Timeless: the November 2009 Exhibition of works by Constantin and Laurene Boym. 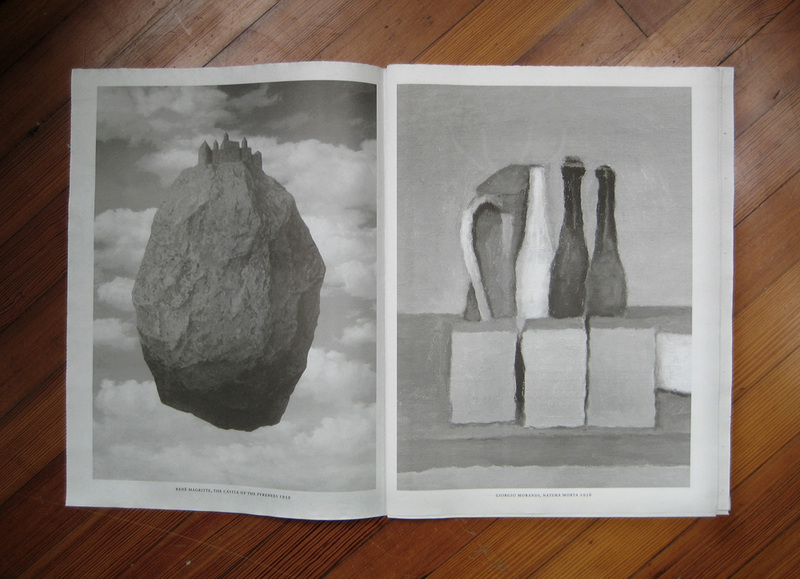 The 2-color tabloid newsprint exhibition catalog illustrates the works with brief text and surrealist paintings by René Magritte. The printed piece was the perfect contrast to the Boym's transformed sculptural icons: a lovely but low-fi booklet to illustrate the altered forms.